Got An Election Question, Voting Question or Politics Question You Need An Answer To? How Do I Personally Contact My Elected Representatives To Make My Voice Heard? How Has My U.S. Representative Voted On Bills & Issues? > Learn how your politician has voted on every issue here. How Can I Tell Truth From Lies Regarding Statements Politicans Make? > Learn whether your politician is telling the truth or full of crap! > Register to vote here. How Do I Know If I Am Already Registered To Vote? > Visit CanIVote.org to figure it out. > Yes. Contact the election official in your state if you've changed addresses. You'll need to complete a voter registration form with your new address. > Click here to find a polling place in your area. What Times Do Polling Places Open & Close? > Click here to find polling times in your state. > Click here to find a polling place details by state. What Identification Must I Bring With Me When I Vote? > Click here to find identification details by state. 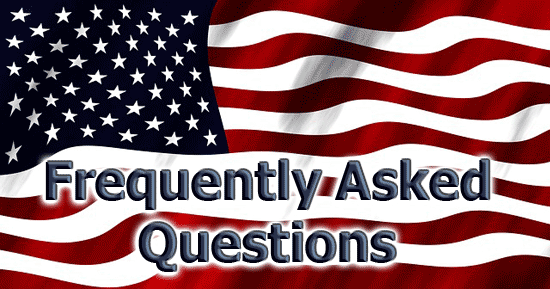 How Do I Vote Absentee (For Active-Duty Members Overseas & US Citizens Living Outside the United States)? How Do I Find My State's Election Office? If I Want To Vote in a Primary, When Do I Have To Be Registered? If I Want To Vote in a Primary, Do I Have To Register With A Political Party First? > Learn about Public Citizen. Start making a difference today. > Click here to see if you're liberal, conservative, independent, libertarian or other ideology. Why are federal elections held on the Tuesday after the first Monday in November? What is the order of succession should the President die, become incapacitated, or is otherwise unable to finish his term of office?